We here at Willow Hill Automotive, located in Southold, NY, have a team of well-trained automotive service technicians that are educated on the latest Cadillac repair and maintenance techniques to guarantee your luxury Cadillac is back on the road quickly. No matter if it is an engine problem, regularly scheduled maintenance or any other issue that may arise, we here at Willow Hill Automotive are trained to handle and repair any problem your Cadillac may face. Cadillacthe Standard of the Worldis an American luxury automaker that delivers the ultimate in American luxury and performance. Formed from the remnants of the Henry Ford Company, one of Henry Ford's attempts to start a car company before he founded Ford Motor Company, Cadillac went on to become the standard of American luxury cars. Willow Hill Automotive in Southold, NY is happy to provide the maintenance and repair services necessary to keep your Cadillac at the pinnacle of automotive performance. Cadillac, the luxury offering from General Motors, is a reliable car to purchase, but may face some engine problems in its later years. Engine problems that may creep up include problems with the starter and possible oil leaks. But those are problems that shouldn't worry you when you bring your car to Willow Hill Automotive. 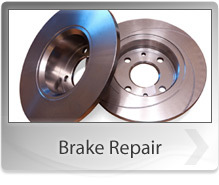 Willow Hill Automotive is located at Southold, NY, 11971 and our service center welcomes drop-ins. Our staff will answer any questions or concerns you have about your Cadillac and will then quickly and effectively repair your luxury American car and get you back on the road before you know it. You can call us at 631-765-4906, or stop by for a visit. Our friendly staff of Cadillac service technicians are waiting.